Art wise, this was done fully in Painter, again trying to use new brushes. In this case an edited Oily Bristle. I tried to mix it up by not only caricaturing their faces, but shadow patterns and designs to try to make it appealing. It was a fun study and process. Lovely! 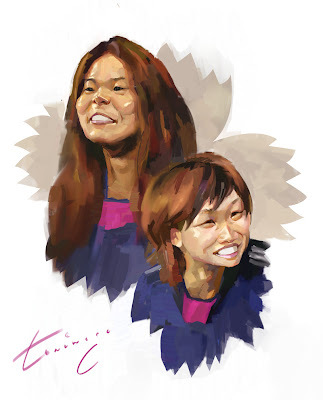 We are huge Nadeshiko fans here, my kids and I loved looking at this.